The PANalytical PW 2400 is a X-ray fluorescence spectrometer which is used to determine abundances of Si, Ti, Al, Fe, Mn, Mg, Ca, Na, K, P, Cr, and Ni in geological materials. 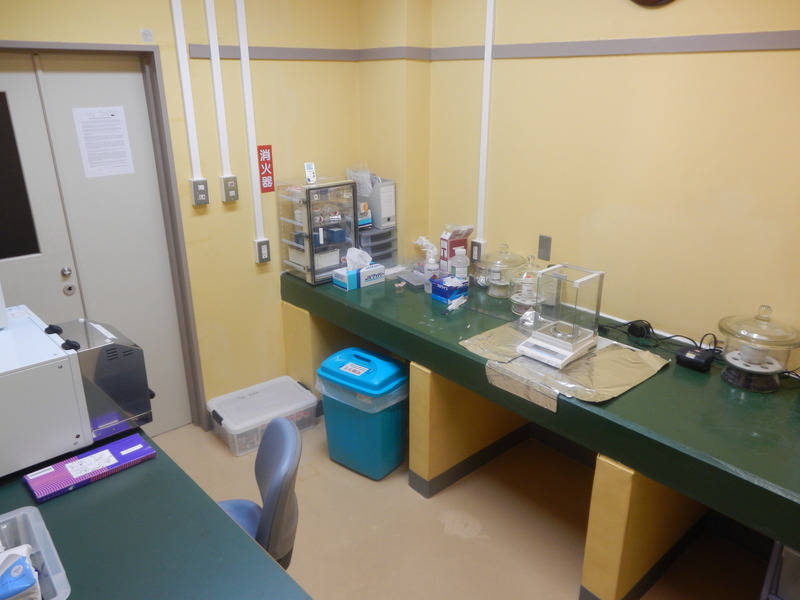 The instrument is equipped with a sample changer, allowing to fully automated analysis (1 sample/hour). Calibration is performed using the reference standards with accuracy of 1% for Si, Ti, Al, Fe, Mn, Mg, Ca, Na, K and P, and 3% for Cr and Ni (14 igneous rocks provided from Geological Survey of Japan). Homogenous glass bead is prepared by fusion of powdered sample (0.5 g) mixed with Li2B4O7 flux (5 g) using the automated fusion machine (Tokyo Kagaku TK-4500 equipped with TK-5910 controller).